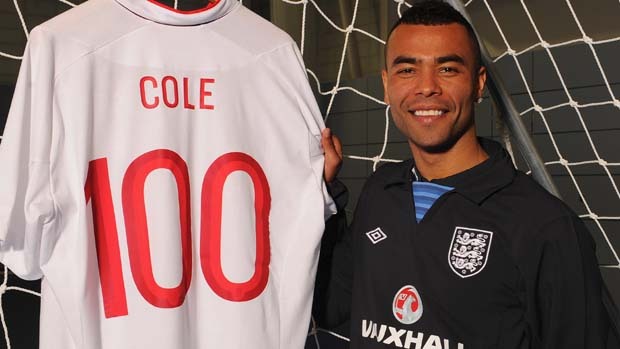 Roy Hodgson has announced that Chelsea left-back Ashley Cole will captain England in tomorrow night’s game against the Republic of Ireland. The two teams meet up at Wembley for a friendly and Hodgson believes it will be a good test ahead of their trip to Brazil on Sunday. The agent of Swansea manager Michael Laudrup has warned the club to give him financial backing ahead of next season or risk losing him. The Danish boss has been courted by some of Europe’s top clubs following a brilliant campaign at the Welsh outfit but claimed he is happy where he is and doesn’t want to move. Liverpool have agreed a deal that will see Kolo Toure join once his current deal at Manchester City expires on July 1. Brendan Rodgers has been charged with finding a replacement for Jamie Carragher who retired at the end of last season and see’s the ex-Arsenal player as the perfect fit. Everton fans have received some good news today as the club have performed a U-turn on the decision to ‘modernise’ the badge. More than 16,000 fans signed an online petition against the change and today the club apologised and agreed to revert to the current crest. After yesterday’s play-off heroics Crystal Palace manager Ian Holloway has hinted that Kevin Phillips could be handed a new deal to remain at the club. However, he expects Wilfried Zaha to play for Manchester United next season, despite rumours that the club would attempt to strike a deal that would keep him at the London club for another season on a loan basis. Hull, another one of next season’s new Premier League clubs, have completed the signing of George Boyd after a successful loan spell. The Scotland international has signed a two-year deal after his contact with Peterborough expired. Brazilian striker Neymar has finally signed the contract that will see him team up with Lionel Messi at Barcelona. The highly rated frontman has signed a five-year deal. Tottenham are being linked with a move for FC Porto striker Jackson Martinez today and are also (apparently) closing in on a deal that will see Barcelona forward David Villa to the club too. Everton defender Phil Jagielka has reassured fans he won’t be following David Moyes out of the club this summer and looks forward to another top four push next season. Sunderland are set to complete the signing of Basle midfielder Cabral over the next few days after agreeing a deal with the club and player already, according to the player’s agent.